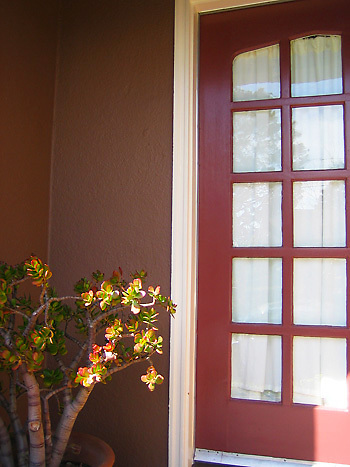 The warm red door adds gentle "pop", and enlivens the front entry, while picking up on the red in the plant. Colors can wash out in strong light, so this scheme needs enough oomph to retain its strength under the East Bay sun. Berkeley, Ca. For another view of this house click link below.